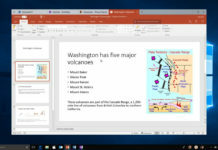 Besides all the built-in ads in Windows, Microsoft is working on a new technology called Playable Ads. Pretty much like Google Instant, this new technology will let you try apps without installing them. 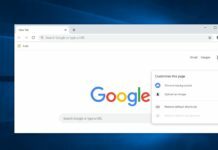 Microsoft launched a limited preview of this new platform earlier this month , which will let you try Windows 10 apps without downloading or installing anything. 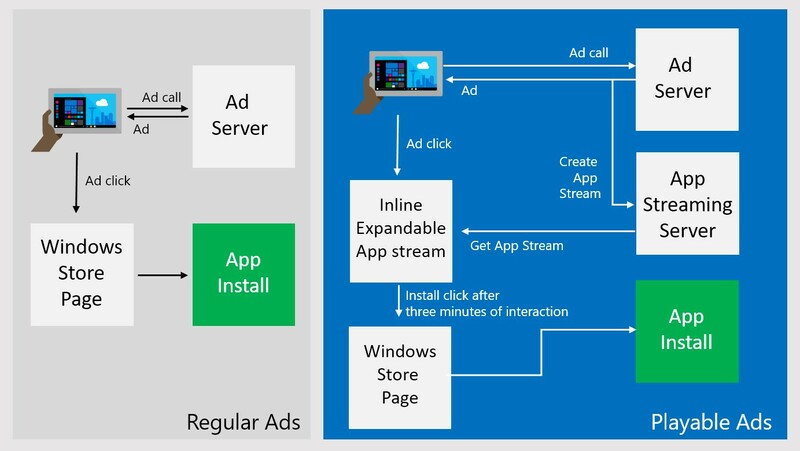 Clicking the ad will launch a window that will stream the full app for 3 minutes, giving you a feel on how the software works. Basically, the app will run remotely and you’ll be able to stream the app for a short time for testing purposes. In most of the use cases, this feature will let you help decide whether install the app or not, while that can’t be said when the app you will try is a game, it’s quite unlikely that in 3 minutes you’ll get past the tutorial and the first level. This will improve how developer can engage and interact with new user, letting them experience the app live before installing it in the first place and users who will install the app after the live preview are more inclined to use the app than those who just installed the app based on the product description page. Saying it in a few words, this will get you to check out programs, games and apps that you would otherwise ignore.